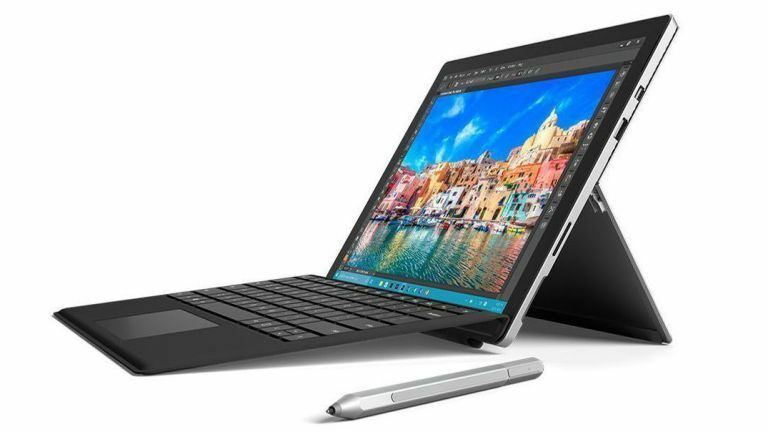 Microsoft Surface Pro 4 discounted by a whopping £150 in Boxing Day sales! While an ambulance ferries Jeff to hospital let's lose our minds over this amazing Microsoft Surface Pro 4 post-Christmas deal, shall we? And you would be right to go all Cthulhu raving bonkers as Argos has literally gone mad with this deal, knocking an insane £150 off the cost of the superbly reviewed Microsoft Surface Pro 4 two-in-one hybrid. That means that instead of having to pay £849 to land this beauty, you now only have to pay £699! Part with your cash and you get a 12.3-inch Microsoft Surface Pro 4 with an Intel Core M m3-6y30 dual core CPU, Intel HD Graphics515 GPU, 128GB solid state hard drive, 4GB of RAM and a shiny new copy of Windows 10. Of course, that is saying absolutely nothing about the system's amazing touchscreen, bundled keyboard or fluid laptop-to-tablet transitioning capabilities. Be under no illusion, this is a great system at a crazy price. Argos always has only limited quantities of all its deals though so, you know, GET A SHIFT ON BEFORE THE DEAL OF THE DAY SLIPS THROUGH YOUR FINGERS!!!! !